She's Fantastic: Jazwares - The Ladies of FORTNITE! 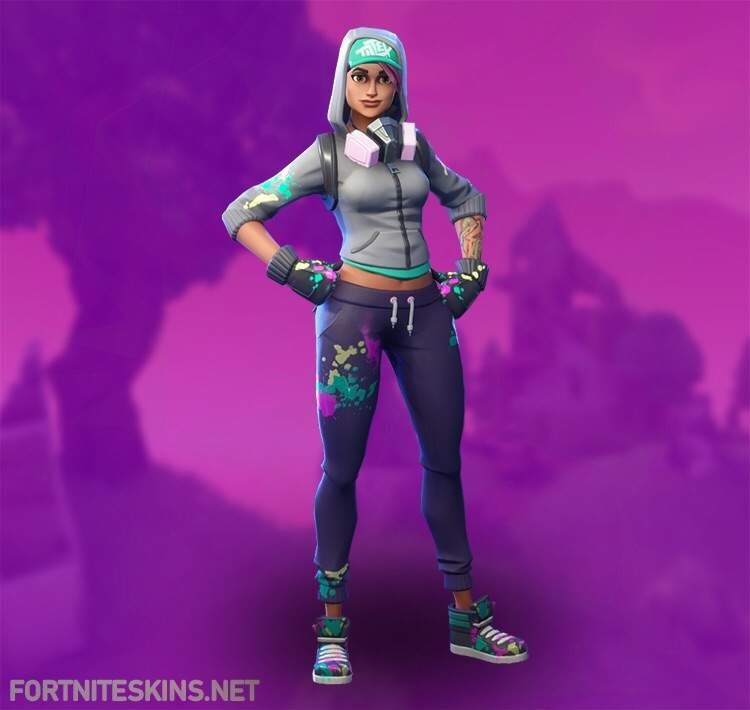 Jazwares - The Ladies of FORTNITE! The momentum of Fortnite product doesn't seem like it's going to slow down anytime soon. Every store I go into these days has a decent-sized display of their toys and roleplay weapons. Walmart, Target, GameStop, FYE, even my grocery store (totally not kidding). I don't play video games, but the character designs are so fun that I can't stay away. 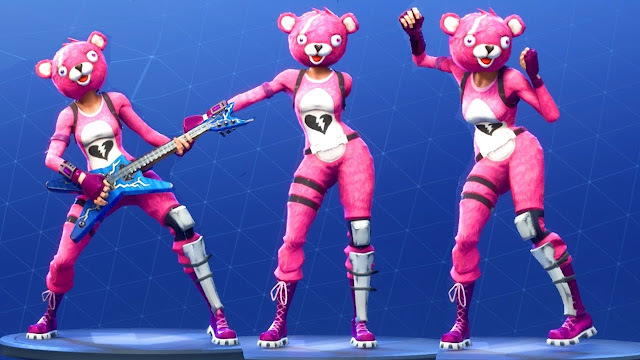 I especially love the girls dressed in animal onesies (Cuddle Team Leader, Tricera Tops, and Bunny Brawler are my favorites). I think everyone was shocked when Jazwares announced their license for 1:18 scale Fortnite figures. It's been a while since those Assassin's Creed figures of their's came and went. They definitely have a knack for video game properties: Minecraft, Sonic, Megaman, Mortal Kombat, Street Fighter, etc. I'm hoping there is a second Fortnite wave soon because there are so many more characters to make (and their lines tend to fizzle out unexpectedly). Fingers crossed! 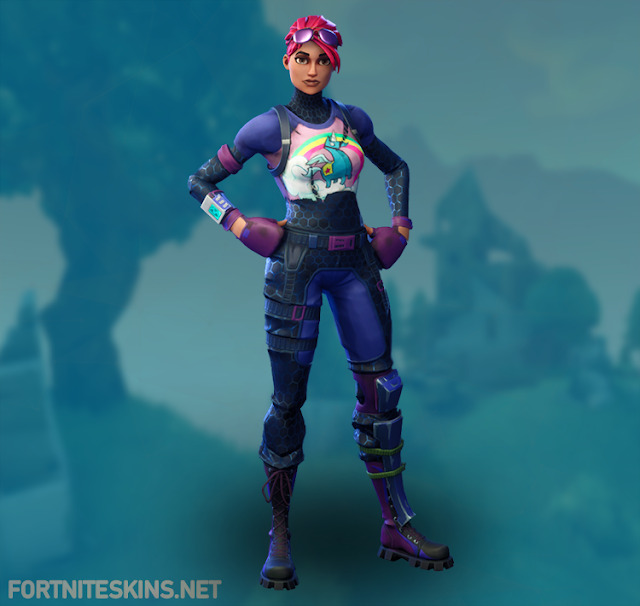 Let's check out Brite Bomber, Teknique, and Cuddle Team Leader below! These figures are nicely made. The sculpts are sharp, the articulation is on par with G.I.Joe, and the paints apps are colorful and crisp. The only odd thing is that the bucks themselves seem oddly proportioned. They are a little squat and cartoony - and the women seem especially curvy. I find this interesting because the game images I've seen online show that characters as having very typical body types and proportions. So, the McFarlane figures are overly tall and lanky, while the Jazwares figures are short and curvy. I wish these had bucks like their Assassin's Creed line. The box set comes with an assortment of weapons (and crate-like figure stands - not pictured). And by the nature of the game, any character can use any of these weapons, but I've paired up the characters with the most likely tools based on basic image searches. Here is the whole gang from the box set including Rex and Ragnarok. Here are Brite Bomber, Cuddle Team Leader, and Teknique together. Love these figures. Don't even play the online game. Looking forward to Series 2.